Are you feeling a little anxious because you don't have your estate plans in order? Are you losing sleep because a member of your family needs help paying for nursing home expenses? Experiencing a serious illness or death with no estate plan can be devastating -- both financially and emotionally. Without effective planning, you risk the loss of your life savings, your investments or maybe even your family home. At McPhail Law we know the rules. We can help you with sound legal strategies that allow your family avoid probate, protect your assets from nursing home expenses, or reduce taxes. We can help you protect your family, your money and restore your peace of mind. Doug McPhail graduated with honors from the University of Detroit School of Law. While there he earned the American Jurisprudence Award for Academic Excellence in the area of professional responsibility and was published member of the University of Detroit Law Review. He received his Bachelor of Arts degree in Political Science and Mass Communications from Taylor University in Upland, Indiana. 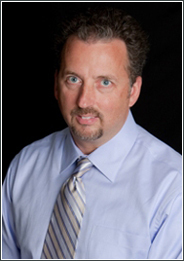 Doug is a national lecturer on estate planning and elder law issues and has been an attorney for 25 years. He is a member of Wealth Counsel, the National Academy of Elder Law Attorneys, the Muskegon County Bar Association and the West Michigan Estate Planning Counsel.